HI! I have a question. I would LOVE for my 2 1/2 yr old to play independently! Huge problem: she is glued to my hip, and I do mean glued. She gets tons and tons of one on one quality time with me (both pure, silly fun and also educational) she is extremely happy when I am involved with all her play but will not do any sort of play without me. If I try to do the dishes or laundry she is constantly saying “mommy sit down, play with me” and cries and throws fits. 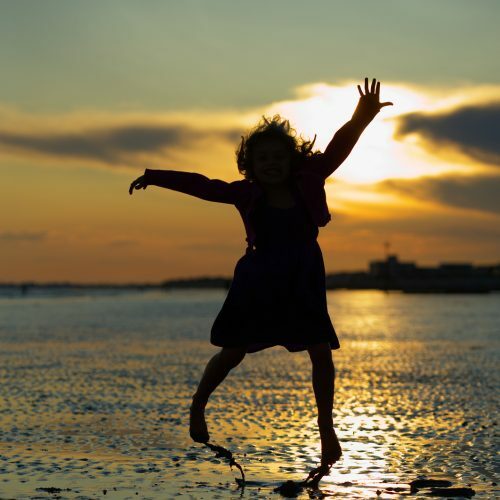 Parents need and deserve free time, and children need extended periods of self-directed, uninterrupted play. Children learn best when they are given time to invent, explore and experiment. When you’ve had productive time away from each other, you will come back together refreshed, and you’ll be ready to give focused attention to your daughter. Quality is much more important than quantity. Also, keep in mind that when we play with a child, we are usually using our ideas and imagination, and the child is following and responding, rather than creating, discovering and learning for herself. I remember the shock (and great relief) I felt when an experienced associate and friend told me, “It is not a parent’s job to play with a child.” “What? !” Your daughter is used to your constant attention, but it is not too late to break this habit. It sounds like you are dealing with two related issues. First, know that children quickly become accustomed to the habits we create for them. When a child is used to a parent’s constant companionship, she will continue to expect it. You and your daughter have a loving relationship and enjoy each other’s company, but it will benefit both of you to have more time apart. It’s clear from the description of your parent/child dynamic that you realize this. So, getting there is the problem. The second issue I see is that your daughter is looking for boundaries: guidance for her behavior. Infant expert Magda Gerber reminded parents that children will push for us to be a 24-hour slave, if we let them. When we establish boundaries, such as: now I’m going to do some work in the kitchen while you stay in your play area (and a gate across the kitchen door comes in handy here), we cannot expect our child to say, “Oh great, go ahead, enjoy!” The child might whine, cry or even have a tantrum. One of the biggest challenges for parents is to establish firm boundaries and then allow a child to freely (but safely) express her displeasure. We can let the child know we understand by acknowledging her reaction, “I hear how upset you are, but I have to work now. I’ll be back with you in a few minutes.” When we cave in to tearful demands and try to “keep the child happy,” we risk creating the opposite of happiness: an insecure child. A child will not usually give a parent permission to leave her side. It is up to the parent to make those decisions. It’s vital that parents set boundaries (and allow a child to cry in response) before the situation begins to make the parent angry or resentful. We are building a relationship with our child, and our needs matter too. We must prioritize a healthy relationship, not one in which we bend over backwards and neglect our needs, giving our child too much power. Children may complain and cry when limits are set, but they are always relieved to know they are not running the house. When we make changes in the way we are parenting, we must have conviction in what we are doing. 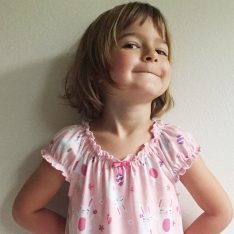 I recommend reading Magda Gerber’s books: Dear Parent and Your Self-Confident Baby as well as my book No Bad Kids and the posts in this blog that address self-directed play and boundaries (HERE). Switch gears to become an observer of your child’s play, rather than being directly involved. This might be easier to begin when at the park. First, tell your child what you will do before you get there, because she is probably used to you playing with her, and you will be behaving differently. “This time I’m going to sit on the bench. You can sit with me or go and play while I watch you.” When you arrive, sit with your child and allow her to participate in activities on her own, if and when she is ready to do so. (Obviously you would be ready to move closer to her if necessary, for safety reasons.) If she grabs your hand and demands that you walk with her to the slide or swing, you might say, “I’m going to stay here. You can sit with me or go and play.” If she insists, say, “I know I usually go with you, but today I’m going to sit.” It may take time for her to transition to this new way of being with you, but in the long run you will be surprised at the pleasure you derive from observing, rather than ‘doing’ with your daughter. She will naturally seek out what she is ready to work on, and you will learn volumes about her. The time your daughter spends inventing play on her own will eventually become the highlight of her day… and yours. Thank you so much for the much need advice! I will most definitely try these approaches. I have been given some of these tips from others (such as her father, with whom she always obeys and takes his word as set in stone) I am coming to understand that I may have unknowingly created this mess for myself. When I was little I strongly remember my mother NOT playing with me. I have no memories of mommy-daughter play and it’s always bothered me. So from the moment my daughter was born, it’s always been very important to me that she KNOWS I want to play and interact with her. But I think I’ve already built that foundation and what she needs now is more discipline. Everything you said was right on target. Thank you for the advice and have a great day. I’ll be sure to update! As parents, many of us have the tendency to want to overcompensate for the deficiencies we have felt in the way we were parented. It’s almost impossible to be completely objective about our child’s needs, because we are constantly projecting our own. That is why it’s so valuable to step back and observe our child, to get a bit of distance. When we do that it becomes clearer to us that our child is a distinct individual and we can both understand and enjoy her much more. And giving a child undivided attention as an interested observer fulfills the child’s playing-with needs as much as entertaining her does. Your daughter is fortunate to have such a caring and adoring mother! I could not agree more! Watching her play alone is the highlight of my day. At what age do you recommend beginning to take these actions? My baby is 12 weeks old and I love spending time with her, but also want her to value her own ability to entertain herself and not rely on my or my husband/Daddy. However, I want her to feel secure in our relationship with her. I would value your feedback! You sound like a very wise, together mom. I would love to answer your question in a new post on my site! Please give me a couple of days to get back to you!! Thanks. After reading this post I’m a bit confused.I read in AP literature that rejecting kids (when they want to play or do something with you) affects child’s trust that their needs don’t matter or they are not accepted.Following that rule whenever I do something like washing dishes and my daughter comes to me (19 months) and wants to be carried,I pick her up and wash up with her – usually I let her put cutlery in a drawer, play with running water, etc.Although sometimes I’m just to tired to carry her or my back’s sore. Since she was born I always left her to play by herself (out of laziness more than anything) for some time.Nowadays she plays by herself but as soon as I appear on the horizon,I cannot even sit.She doesn’t care if i play with her as long as I sit on the floor and look at her.Just recently she wants me to do things like put shapes into holes or spend endless hours in a sandpit while SHE is watching.Do you think I might have overdone with giving her attention?Is it fine to apply the same approach for 19 month old as you suggested for 2,5 year old? Hi Ania and thanks for reading the blog! I agree that “rejecting kids affects a child’s trust”, but I hope the AP literature doesn’t say that you should always stop whatever you are doing and do what the child wants you to do. I don’t believe that is the healthiest message to give a child and it is certainly isn’t healthy for parents, who are, remember, half of this parent/child relationship. It is one thing to say honestly and respectfully, “I hear you want me to carry you, but I can’t right now. When I’m done with these dishes we can sit together.” It’s quite another to just say “no” and “reject” the child. I understand not wanting to disappoint your girl, hear her complain or cry, but that gives her an uncomfortable amount of power. And it makes you her slave, because you are trying so hard to keep her happy. Remember, you have rights here, too, and your daughter needs to know that you are her leader. “I cannot even sit” and “putting shapes in holes” while she watches (with a whip in her hand? 🙂 ) sounds like you might be “overdoing” pleasing her a bit, yes. Life is about getting what we want sometimes and also being able to handle not getting what we want… and not having that be the end of the world. When you are worried about displeasing her, remember how important it is for her to know how to cope with her feelings of disappointment. Thanks so much, Kate! Yes, independent play has made parenting extremely wonderful and joyful for me, too. And the blessings only continue into the teenage years. I’m excited to go and read your post now, but just also want to mention that my notification system has been on the blink… Hoping to have it up and running again soon, so thanks for mentioning that! Nice one Janet! I’ve been working with my mother-in-law to encourage my daughter to engage in independent play during their time together. I’m happy to report that in just a couple of weeks they’ve made a LOT of progress. It’s amazing how easily children can adapt to a new way of doing things when adults confidently take the lead and provide the opportunity. This weekend my 20 mo. old daughter spent a lot of time happily “reading” all by herself. My husband and I are so happy to get to have an adult conversation in the same room with our daughter! Hooray! This is great advice and I am happy to have stumbled upon this site. My issue is that my twins 23mons play independently (together or alone without me), however, my 5 yr old doesn’t. He always wants to be the center of attention or playing with the babies. I am afraid to leave him alone with them because he tends to take toys or I am afraid that he will do something to them. But, if I ask him to play in a different room or his room, he sees it as a punishment. He has great toys in there and most of the children’s books are in his room. He has had so much more than the twins in just about every way. The same behavior extends to his schooling (he home-schools) too. He can read and is extremely bright. But instead of just doing his work, he fusses or wants me to sit with him and/or talk him through the each page. 1-2 hours of work takes most of the day. I need non 5yr old time as I run a home business, one of the twins is physically disabled (lots of therapy etc), not to mention, I need to do housework, etc. Would be great if he could occupy himself for a bit so that I could actually spend QUALITY time with him. But as it stands, the time he gets is much, but not happy time. Any suggestions on making this work for us? JJ, it is very hard to have younger siblings, much less twins. It makes perfect sense that he wants to be the center of everyone’s attention. Try to understand this and empathize rather than seeing his behavior as a problem. I would trust him a bit more to play with his sisters. Taking toys away is not the end of the world. Do you think he would seriously hurt his siblings? Siblings need to figure out their relationship as much as possible. He could have all the stuff in the world to play with and that’s not going to prevent him from wanting your attention. It’s natural for him to want your attention and extra care when he’s doing his work. This isn’t about what he can or cannot do on his own; it’s about what he wants. If you give in completely sometimes to doing things for him, and don’t judge him at all for any of this behavior, he will eventually accept the boundaries you give him when you need to work. Also, remember that “quality time” isn’t always happy time. Giving your boy what he needs, i.e., firm limits with lots of empathy for his feelings, a shoulder to holler on, are quality time, too. I have two questions. First, I’ve noticed it is so hard for my son to play alone when he’s not feeling well, which makes already hard days fot us even harder. Is this common? I know it’s harder to function as normal when you aren’t feeling well. Second, I am a quiet person and have always worried I don’t provide enough talking although I do try to talk and have conversations and use as much language as possible. But I feel like when my son plays alone I need to narrate what he is doing to help build vocabulary. Is this just not necessary? I think it comes from my insecurities as a quiet person. I just want to make sure I am helping him with language as much as possible. But usually it means I dont lead, but do follow him around or watch from a closer distance so we are close enough to discuss what is going on, and I don’t ever get a break when this is his independent play. Juliana, it is harder to play or do anything when we are unwell or our energy is low. If there is a time to provide entertainment, this would be it, but I would still do less. I would snuggle and just “be” together, or offer music or a story on tape rather than TV or videos. Janet, my almost-three year old is an only child and none of our neighbors have small children. He goes to daycare three days a week, but the other four days a week we mainly spend time at home. I sometimes feel guilty that he doesn’t have other kids to play with on those days. My parents were never playmates but my sister and I are only two years apart so we offered a lot of companionship to each other. What are your thoughts on only children? If the parents decide they aren’t going to provide a sibling, does that obligate them to become the playmate at times? Abbie, three days at daycare is providing your boy more than enough peer interaction for his age, in my opinion. Yes, he definitely needs your companionship, but I think that’s much different than being a “playmate”, which can interefere with his ability to create play for himself. Ideally, you are his companion at mealtimes, bathtime, getting ready for bedtime, etc., and sometimes when he plays, too. They key is learning how to support play without interfering; how to be responsive and attentive, rather than creative or directive. This “supporting role” really is enough for children to feel our love and makes it much more likely they’ll enjoy their solo play as well. Janet, thank you for writing such thoughtful and informative posts. I’ve come back to them time and again recently. I have some questions, and so much bouncing in my head I’m not sure how to write it out. My little girl is two. She attends childcare three days per week and my husband and I shuffle working so that one of us is with her the other days. I came “late” to parenting, I am 36, however have worked with young children my whole life. My little girl was a much dreamed of and anticipated child and I am well aware she may be my only. I really struggle with how to let her create her own play as I feel like I have to spend so much time away from her. I only work because I have to, I would much rather be a stay at home parent. Especially when she was younger, I felt so bad about leaving her in someone else’s care, and I really do cherish moments with her. I don’t direct her play at all, but if she is awake, we are often actively playing together, even if I’m only trying to observe. She’s good at drawing me in! I’m ever aware, for many different reasons, that these moments are not ones we get back. I find so much joy in being with her, playing with her, interacting with her and I realize I am not good about allowing her the space to play on her own. And so that is what she is used to, as you have mentioned many times in your articles. How can this work for a parent like me? I’m sure there are many of us out here, who get to spend even less time with our children- I’m lucky I guess, that I can flex my work to be away no more than 8 hours a day- but she’s only awake for 12! My other concern- my little girl is a bright, confident, and very sensitive child. I wonder if I have made it hard for her to separate from me. She cries every time I drop her off at school, and even articulates that she doesn’t want me to leave. She says things like, “I not want mama to leave,” “mama always comes back” and “I play at school and have fun.” I hear these conversations as she is putting herself to sleep at night. I’ve started telling her it is okay to cry when I leave her at school, and I understand that it is hard for her when I leave. I’m very happy with her childcare and know she is well taken care of there. Any advice for me? She’s a very talkative and perceptive 24 month old- and I think some of the reason I have such ambivalent feelings about this is that I had parents who never played with/watched me play. I also have a Master’s in child development and taught in a Reggio inspired school for years, where Magda was also a huge influence in shaping my parenting. These are the two areas I really struggle with. Thanks for any insight! Hi Frannie! I’m sure your daughter has plenty of time for independent play at her care center, so if you are enjoying playing more actively with her, and this works for your relationship, I see no reason to make changes. I guess this is really about how we define “quality time”. Thank you, Janet, for your answer. I’ve been pondering it for quite a few days. I’m “getting” it. How funny that when I was a teacher I would have seen exactly what you said, but as a mama, it was fuzzy for me. I’ve noticed a change in my little girl as I’ve been trying to change. She ran off to play in her room on her own a few times this week, happily chatting to her toys. At the park, I was wholly engaged with her but just watched. She seemed to revel in the quiet attention. Every now and then she’d talk or show me something or need a hand to climb from one structure to another. And while I know how important it is to project confidence for her, I’ve really focused on what that looks like for her. She is SO verbal I’m not always sure what she’s gotten from me or from herself, or even from school. But you are right, they have ways of just knowing, and picking up on what is important to us. Thank you for your thoughts. You are so welcome, Frannie! Just one tiny addition…if you “spot” rather than give your daughter a hand while she is climbing, it will help her to learn to navigate climbing more safely and with more awareness. By doing less and allowing her to do more, she will gain confidence and feel more independent regarding her gross motor activities. I am working on independent play with my twin boys, 7 months old. They do pretty well playing in the same room as me, while I watch or do a few chores. However when they are in a different room (a play pen or on a blanket with a few toys – they aren’t mobile yet), they cry. I know they just need to adjust, but what’s appropriate at this age as far as length of play time (assuming they are fussing or crying)? When/how should I intervene? I have a 3 year old boy and would love for him to play independently. It’s something I should have worked on earlier with him, but wasn’t consistent about it. Now when I tell him I am going to go do something (even if it’s for a few minutes) he just follows me. So, I live the park example you used, but can you give some advice for how to practice independent play inside the house. How do I start getting him to learn independent play? Also, I have a new one on the way (due 12/26) and I want to start her off the right way. I should be receiving Dear Parent today. Is this the best RIE manual to read? I want her to learn independence early on, while still being attached. I want her to learn how to be happy playing alone and also how to fall asleep on her own without CIO. 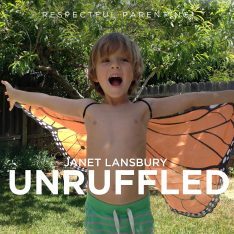 Hi Janet, just read this again… it has been awhile and my son’s needs have changed. I believe that part of our issue is that our son is actually GLUED to oxygen… so when we go somewhere he has a connection to us (oxygen tubing, since we are carrying his tank!) I have found that he does much better at home and plays on his own, but if we go somewhere he is literally CONNECTED.. and I think some of it is the oxygen, how can we really encourage independence? Hmm. He is now 3 1/2. Thanks for any creative thinking! Hi Janet, thanks for your post, and blog, I found it fascinating, I was introduced to RIE parenting when my son was 16 months old when searching independent play in the net, as I read Magda’s book everything made perfect sense, but applying is being difficult as I’m not with him the whole time. I don’t know any other parent that follows rie parenting, so your blog reinforces my idea that I’m on the right track, despite all the odd looks at the park.. As parents we are obsessed in giving the best, and I keep asking myself if it’s too late, if I have damaged his ability to deal with frustration, I can’t help but think how my child could have been a much calmer confident child only if I had applied rie parenting in infancy. Thank you!!! I have been to counselors, read books and searched the net for help with this issue. Im an introvert and my extrovert daughter ‘forces’ me to play with her all day. Its exhausting. Her neediness, demandingness, etc is so bad that it stopped me from wanting to have a second baby. However im now pregnant again after just one little slip up. Lol. Ive been dreading that this baby will be the same as my 3 yr old. I adore her but i find it hard to have boundaries with her. There really isnt any actual helpful advice out there for this and other specific issues i have with her. After reading this, i finally feel that i might actually be able to handle her after all. Im so grateful for your advice. Thank you so much. I really needed this post today. I have read in many of the blogs that we need to be okay with our children’s feelings of displeasure and upset. I am okay with my son’s upset feelings, but I have not been able to locate much guidance on how to handle the crying fits exactly. My son will start wailing very loudly, fall to the ground, sometimes till he vomits, and this can go on for quite a while. Do I leave him where he is to cry (alone), while I stay in the kitchen to finish up the dishes? My son wants us to hold him the entire time he is upset. I simply don’t have time to be there for all of his “upsets”. I have another daughter and my son is “upset” quite a bit. He is 3 1/2 and this has been going on for 2 years now. Sometimes I say, “You are really upset that Mommy can’t play with you right now. I have to finish up the dishes. You can come and be upset in the kitchen, or you may stay here and be upset”. Any further guidance on how to take this one step further, how long do we let them cry, do we stay with them or leave them alone, etc. would be so helpful. Thank you! Sarah, I’m having the same issue when I try to prep a meal. My son wants me to hold him the entire time, and I physically can’t when I’m cooking. But he does the same thing, cries so hard and I’m wondering how long you’re supposed to leave them to cry? It’s so heartbreaking. Love your blog 🙂 my little one does sometimes play independently but I feel with best intentions I’ve got into a situation of fulfilling all his needs to avoid his stress (and therefore my own). I really am his slave and it’s not enjoyable! Without going into masses of detail and background one thing I’m wondering about is what should I do when I’ve told him that I have to xyz and he needs to wait for me or play by himself. When he responds with shouting and raging and I akbowledge this but it’s then a battle that takes ages with me continuously reinforcing that I can’t play right now but acknowledging his feelings. It goes on for ages. It’s the same when having to say no to him for things or if I don’t do things in the specific way he likes them done. What should progress look like? Hi! Thanks for this post, I found it very informative. I stay home with my 21 month old daughter and have lately been wondering where to put the boundaries when it comes to getting a few things done around the house. I am loathe to use TV, but have found it to be the only thing that seems to help. I look forward to exploring and applying your suggestions and eschewing the dreaded television. My question is about my weekly attempts to go to the gym. There is a nice child care option there, but my daughter will only stay in it for about 15-20 minutes before she gets upset and I have to come back. As I try to gradually increase the time in childcare, do you suggest I try to come back within the 15 or so minutes before she gets upset, or should I wait until the caregivers come and get me because she is crying? I’m not sure of the best method, and unlike a daycare center they aren’t equipped for more than a few minutes of upset. Thanks! I have studied both your books, and they are absolutely amazing!!!! Unfortunately I found them when my little one was 3.5. He is now 4. We have completely put in all of your points, though I struggle a bit with getting him to play independantly. He never had a yes space and we have been glued together from his birth. I thrive off him. And he knows it! We home school now also and we both love it, he is so hungry to learn more and more. We also used to Co sleep. I still end up in his bed most nights (I do love it), I guess I’m realizing whilst writing this that it is totally my doting mother-Ness that has created this, but as he is so willful, I don’t know how to establish his independent play fully. We have good days and bad. The most time he has is now after bathing in the morning he’ll have half an hour. How often should they have at this age? Thank you for all that you do!!! You’re a legend!!! Another comment I might add is that when encouraging that independent park play, you might say “I love to watch you play” after making it clear you’re staying on the bench. That makes it clear to her that you’re still present with er and helps her feel like she’s making you happy!